Wire Design has been producing quality wire harnesses for over 30 years. Our Sales and Engineering Departments are second to none. We communicate with customers to fully understand their specifications. Via CAD we convert the specifications into production ready models. Our expertise and experience have provided us a reputation of delivering quality products, on time, at a fair price.. 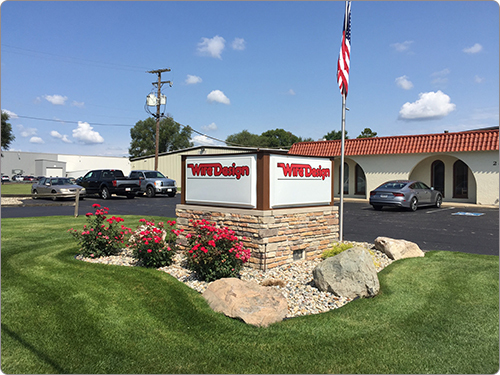 Through increased automation which insures precision and an experienced production crew, Wire Design can meet the demands of any job large or small. By supplying such diverse markets as Marine, Mass Transit, Cargo Truck, Fire and Rescue, Heavy Equipment, RV and more, we show the flexibility that a reliable supplier should have! If your harness requires printing for identification, we have four ink jet printers that can print on any color of wire. With four Komax cutting machines we have the capabilities to handle your continued business growth! We have the capabilities to provide harnesses in TEW and GXL wiring. We also work with 1/0 to 4/0 cable. We utilize various connectors such as Deutsche, Packard, Amp, Molex and Panduit just to name a few. "Wire Design gets you CONNECTED."